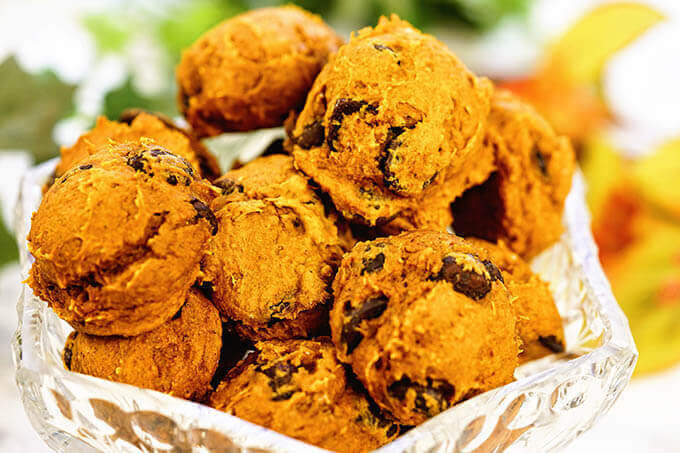 Soft and moist, these chewy Pumpkin Chocolate Chip Cookies are the perfect fall treat! With only 4 ingredients, these pumpkin spice cookies will quickly become your favorite and as soon as they disappear, you’ll be making more! 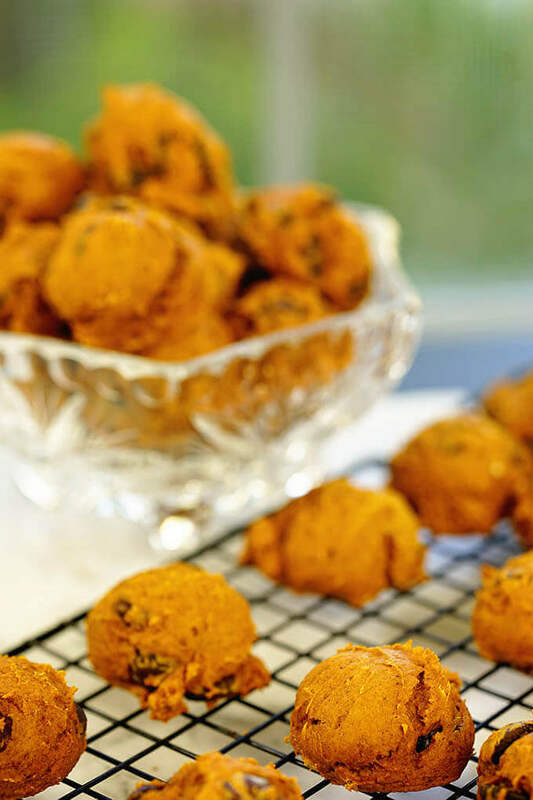 Moist and delicious, this Pumpkin Chocolate Chip Recipe is easy to make! My sis-in-law Alice always has the best treats! She makes an amazing lemon puff dessert (I need to share that recipe with you!) and tons of other good eats. One time after visiting Oregon, she came home with a box of Pumpkin Chocolate Chip Cookies. She told me to try one. I didn’t want to be rude, right? So I did! The moment I bit into that soft, chewy cookie chilled with big chunks of chocolate, I swooned! “Good, right?” she says – “uh huh,” I mumbled with a mouth full of cookie! There was only one problem….we could only get them in Oregon…in the fall! Ok, well that obviously had to change! 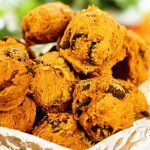 Hence the development of this perfectly delicious, super easy Pumpkin Chocolate Chip Cookie Recipe! Similar to my recipe for 4 Ingredient Peanut Butter Cookies, and 3 Ingredient Oatmeal Cookies this recipe is quick and easy! It takes longer to preheat the oven than it does to mix the dough – gotta love that, right? These are the BEST Pumpkin Cookies! Only 4 Ingredients to make these tasty Pumpkin Spice Cookies! Oh my gosh, these bake up perfectly every time! They are puffy and moist, soft and chewy and the aroma of these pumpkin spice cookies will fill your whole house while they are baking! Can you bake cookies Pumpkin Spice Cookies with a cake mix? Yes, and it’s the BEST shortcut! I have baked 4 batches of these tasty cookies and I decided it’s high time I share the recipe with you! This makes a big batch of cookies – about 40, so it’s plenty to fill your cookie jar! Can I use pumpkin pie filling instead of pumpkin puree? No, make sure you purchase pumpkin puree. Pumpkin pie filling has lots of other spices and is runnier. Your cookies will not turn out! Can I buy pumpkin puree? Often times referred to as solid packed pumpkin or pumpkin puree, you’ll find it in the baking aisle. Just be sure to check the label. It should read “100% pure pumpkin.” If you would like to make your own Pumpkin Puree, check out this website for step-by-step directions. These are the BEST Pumpkin Cookies and so easy to make! No need to use a mixer, these cookies mix easily by hand. A small ice cream scoop portions the cookies. Uniform size will ensure they bake evenly. The dough will want to stick to the scoop. Keep a glass of water close by to dip the scoop in occasionally. Use a silicone baking sheet to keep the cookies from sticking. You can crowd the cookies on the baking sheet as they do not spread out, but puff up. Allow the cookies to sit on the cookie sheet for about five minutes before removing them. They will release more easily. 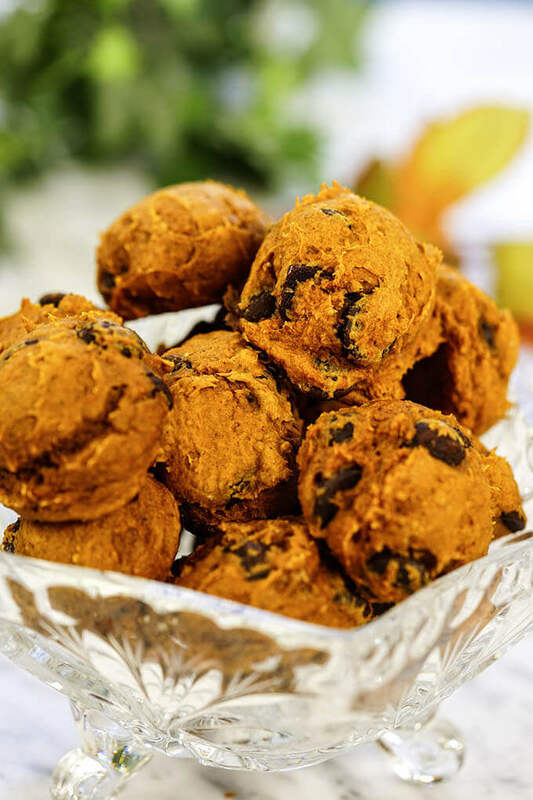 Want to make Vegan Pumpkin Chocolate Chip Cookies? Simply omit the egg and be sure to purchase a vegan spice cake mix! Prepare the baking sheet by spraying with non-stick cooking oil or use a silicone baking sheet. Pour the cake mix into a large bowl. 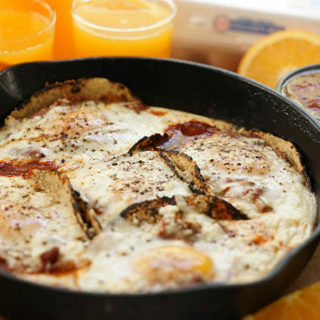 Add the pumpkin and egg, mix together completely. Drop by scoops onto the sheet. Bake in the oven 12-13 minutes. Moist and chewy Pumpkin Chocolate Chip Cookies are the perfect fall treat! 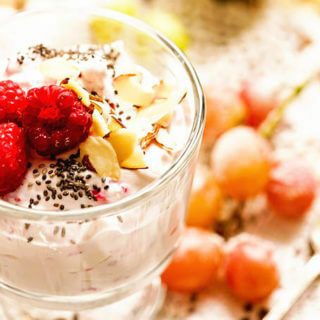 With only 4 ingredients they are quick and easy to make to make and so delicious! These are the BEST Pumpkin cookies and will quickly become your favorite!! Preheat the oven to 350 degrees. *Spray your baking sheet with non-stick spray or use a silicone pad. Add the cake spice mix to a large bowl. Add the pumpkin puree and egg. Stir together until everything is combined. No need to use a mixer, just stir it together well until everything is combined. 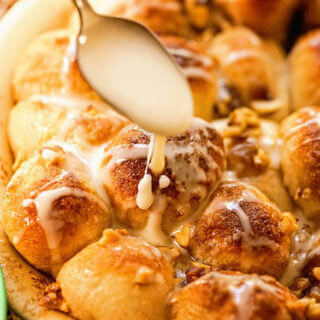 Drop by spoonful onto a baking sheet. *I like using silicone pad versus spraying the baking sheet because I like that soft chewy cookie. **You can use semi-sweet or dark chocolate chips - use your favorite! These are fabulous and yes, SO easy!!! Enjoy! Made these today and they were fanatic! Recipe was perfect and couldn’t be easier. A new favorite for my family! So simple and so tasty! Glad you whipped up a batch and everyone’s enjoying them! This is a lovely recipe Deb so easy to make and I am sure I will make it this season. Wonderful!! You’ll enjoy it Amira, it’s our favorite cookie now! These sound so good & so easy to make. 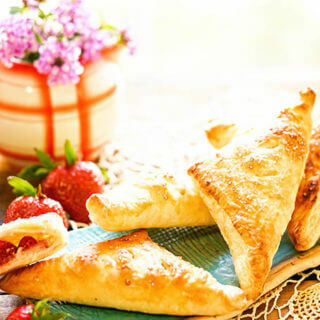 I think it could be dangerous to have some thing so tasty and so easy to make! lol I will be making these soon! I love that these cookies are made with only 4 ingredients! Easy recipes are the best! I love chewy cookies! These sound so tasty and I love how easy they are to make. Definitely a winning combination. I love pumpkin anything and I cant believe I haven’t made something like this before! They sound so good and its the perfect day to whip up a batch! I have them baking in the oven right now and they smell just heavenly. If they taste even half as good as the dough tasted after baking I may have to sign up for a gym class. They are a little addicting! 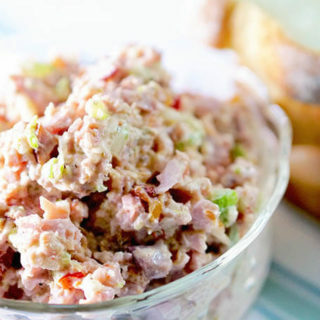 These are so easy to make, and making my mouth water I have to try these! Now I’m bringing cupcakes and pumpkin chocolate chip cookies to my work Halloween party! I hope everyone enjoyed this yummy treat! I love everything there is about these cookies especially how easy they are with the aid of the cake mix! Delicious doesn’t have to be difficult right? Exactly! 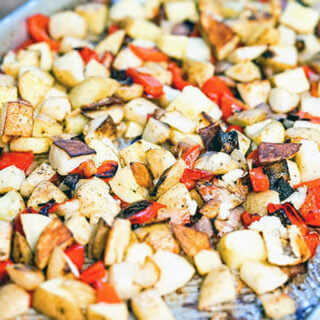 I like the way you think Julie – keeping it simple but tasty! I can’t get over how fluffy and moist these cookies are! I love them and they kind of look like mini pumpkins to me! Oh how true! Everyone I’ve served these to just gobbles up these cookies! Those pumpkin cookies look like I need to .pop about 4 in mu mouth!! Serious yums!! Ha! That’s so easy to do Michaela – enjoy! That’s unfortunate Amy – perhaps when you try this recipe next you should use a yellow cake mix rather than spice cake – good luck with the recipe!